Executive Members — Escend Pharmaceuticals, Inc.
Saira is a creative, dynamic and goal oriented leader with a unique combination of technical and business expertise. She has in-depth experience in drug development and drug delivery technologies. She has provided preclinical support to several oncology programs, two of which have resulted in marketed products, Treanda® and Synribo®. 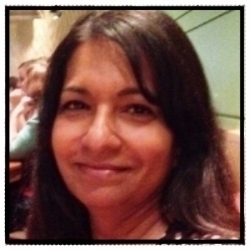 Saira has proven ability in business development and marketing. She founded and managed an oncology pharmaceutical company, Oncopharmaceuticals, and built a strong patent portfolio. Saira has ten issued and pending US patent applications. She has published her work in peer reviewed journals and presented at numerous scientific conferences. She has a BS in Biochemistry from Stony Brook University and pursued post graduate studies at University of Pennsylvania and UC Berkeley. She has a MBA from Pepperdine University. Dr. Brown founded Matrix Pharmaceuticals (acquired by Chiron) and ChemGenex Therapeutics, which merged with an Australian company to become ChemGenex Pharmaceuticals, which was acquired Cephalon. Dr. Brown currently serves as a board member and chief scientific officer of Delmar Pharmaceuticals. Dr. Brown is an inventor of about 34 issued U.S. patents and applications, many with foreign counterparts.